Making Tax Digital – Why Not Start Now? For those reading who are aware of our social media presence, perhaps you may have noticed a trend of posts regarding Xero, and the benefits of going digital before HMRC force your hand – well good news, here’s a blog about it too! The decision made by the Chancellor of the Exchequer to defer the mandatory requirement for small businesses to keep digital tax records has been much deliberated. As it currently stands, unincorporated businesses above the VAT threshold of £85,000 will have until April 2018 to make the switch to digital tax. Businesses that dip below the VAT threshold will have a year longer – until April 2019. Keeping hard copies or spreadsheet records still remains a popular way to keep tabs on the business, and many small business owners face other daily challenges. We understand that you may not want to disrupt or uproot a system that may be working perfectly well, but why not at least begin to prepare for making tax digital? Sooner or later it will need to happen, so what better way to make that transition smooth, and avoid potentially costly errors than to start making tax digital as early as possible! After all, getting to grips with the software at the eleventh hour could become too much of a ‘taxing’ task……. Sorry, I just couldn’t resist! Online accounting software is currently at its most sophisticated level and the integrations with your day to day systems will make you more efficient, and save you time… rather than cost you. The potential to have your bank account, invoicing software, CRM, and project management all in one place and interacting with each other will only streamline your processes, while also providing insight with which to develop future strategies. A big advantage of packages like Xero, is being able to gain a valuable insight into the live financial position of the business, as well as allowing your accountant to log-in and monitor your progress, and highlight any potential issues before they become serious, all just at the click of a few buttons! Gone are the days of a mad scramble to level up the spreadsheets and spend days preparing for your company year end, and personal tax returns! In short, the delay is great news, meaning business owners have more time to embrace keeping digital tax records – not forgetting that HMRC will have more time to prepare suitable software themselves! Our advice is to at least explore the notion of getting started sooner rather than later….you might just be surprised at how much easier it will make running your business as a whole. Not a statement you hear too often! 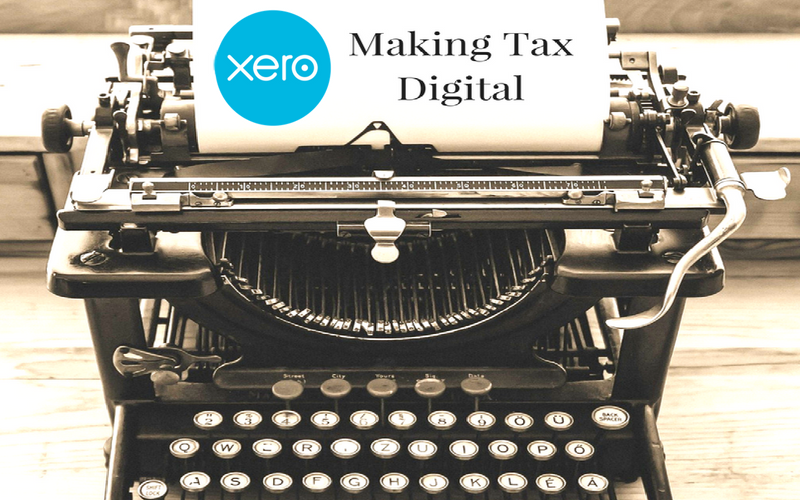 To find out how we can help you prepare for making tax digital why not check out our website, or speak to one of our team to get started and take advantage of our latest Xero offers and discounts!